Connect with hundreds of popular apps that extend your power and reach as you use Act! Premium. Move key data between Act! and the apps of your choice – so that you have less inputting and more time to reach out to your prospects and customers. 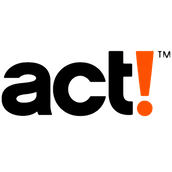 Don’t get stuck with the old technology of double inputting – use the power of Act! Connections to be ahead of the curve. Looking to connect for eCommerce OR Business Productivity OR Sales and Marketing Productivity OR Back Office OR Customer Service OR Social Media Connections OR .. the connections are endless! 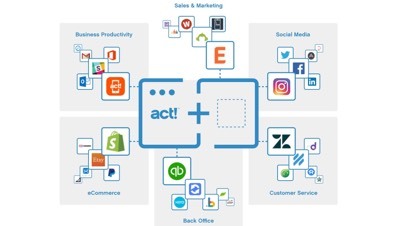 You have it full connectivity at your fingertips with Act! Connections! All you have to do to start connecting is to have an active Act! Premium subscription and then decide whether you want to use the Web API (if you have a webserver) or the Act! Connect Link (a service that provides you the capability). Read on …. For more information. That Act! has dashboards for reporting and analytics?